Last week, I was watching the cooking channel, and someone was raving about a bakery that sold donut muffins (a new one for me). A few days later, I bought a baking magazine and sure enough, there was a recipe for...doughnut muffins!! I don't need to be hit over the head THREE times in order to get the message...I needed to make doughnut muffins!! I'm very glad I did, they are delicious. Light and tender, buttery and sweet, these muffins are more like a delicious cake doughnut than a heavy dense muffin. Another delightful thing about this recipe is that it makes four dozen muffins, AND you can keep this uncooked batter in the fridge for up to three days, which gives you plenty of time to bake them all off!! Cream the butter and sugar in a large mixing bowl (stand mixer works best because it's a lot of batter). Beat in eggs, one at a time until well mixed. Sift the dry ingredients together and set aside. Mix the milk and buttermilk together and set aside. Mix the dry ingredients, into the butter-sugar mixture, alternatively with the milk mixture (add in thirds), mixing only until it is well mixed after each addition. Don't over mix. Grease and flour standard size cupcake pans and fill them 2/3 full. Bake in a preheated 350F oven for 30 to 35 minutes or until they feel firm to the touch. 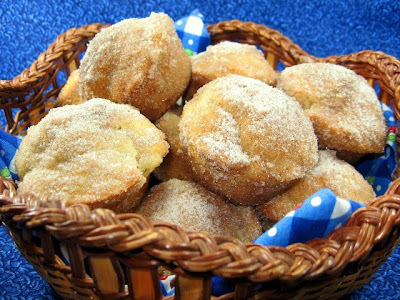 Remove the baked doughnut muffins from the pan and dip them (on all sides) in melted butter, then roll them in cinnamon sugar. To make cinnamon sugar, just mix 2 cups of white granulated sugar with a tablespoon of ground cinnamon. If you are a BIG cinnamon fan, use two tablespoons. These muffins are extremely light and tender and taste like a very good cake doughnut. We love muffins and doughnuts. Now we can have them both at once. Thanks again for another great recipe. I LOVE this idea! 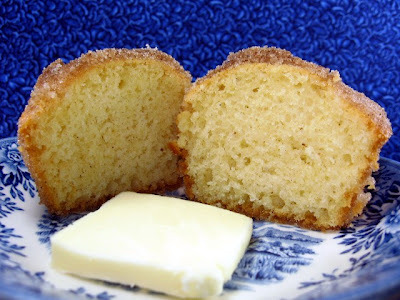 I've bookmarked this recipe to try soon as we love donuts, but I hate making them. Thanks! My daughter has been begging me to make a similar recipe from a cookbook, but with your seal of approval this recipe looks like the one to try! Yum! I think I've seen these somewhere else and I can't remember where. They look absolutely delicious. Think my son and husband would devour these if I made them. This one is a keeper! Thanks for sharing this! Now I can save time doing the batter. Love those muffins! Yum! I've never heard of them before; looks like a great thing to try! While I haven't made this recipe I have baked up some donut nuffins. Insanely good...my mouth started watering as I saw your muffins! Thanks for reminding it's been a while. Your recipe is nice that it makes so many. I'm thinking I could freeze these bad boys right after baking and before the cinnamon sugar. Yummmm! I think I gained 5 pounds dreaming of eating them! mmmm, these look amazing! i could go for about five about now! OMG.I made these and I havent posted about them yet. they were soooo very delicious! Looks fantastic! I have a very similar recipe (might be the same) that I have been making for years. My husband actually renamed them Cinnamon Sugar Tasties. :) Thanks for reminding me of them! Oooh. How perfect! I definitely wanna try these. I bet the kiddos will love em'! LOVE these. You are making me want to make them again! I saw doughnut muffins somewhere yesterday and I knew immediately I had to make them. 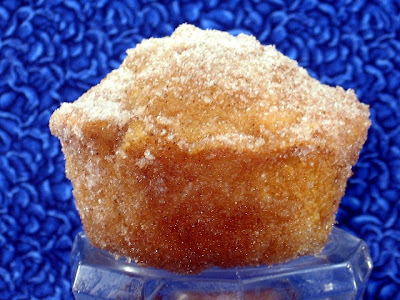 What could be better than a doughnut in muffin form? Two of my favorites. These look scrumptious! holy smokes! those look so damn good Coleen. I'll be making these for the guys soon. I came so close to making doughnut muffins several months back but made something else instead. I've been craving them ever since and now I want these! What magazine did you get them from? Coleen, my friend, these are just too too tempting. I must make these soon. Would love the idea of a donut without all the frying. Perfect! You're a SWEETHEART!!! and I have an award for you come by and visit so you can receive it. I just saw this on TV last night. I'm defiantly going to make these soooooooon! A co-worker of mine brought these to work adn they were super yummy! Thanks for the recipe! These look Awesome! 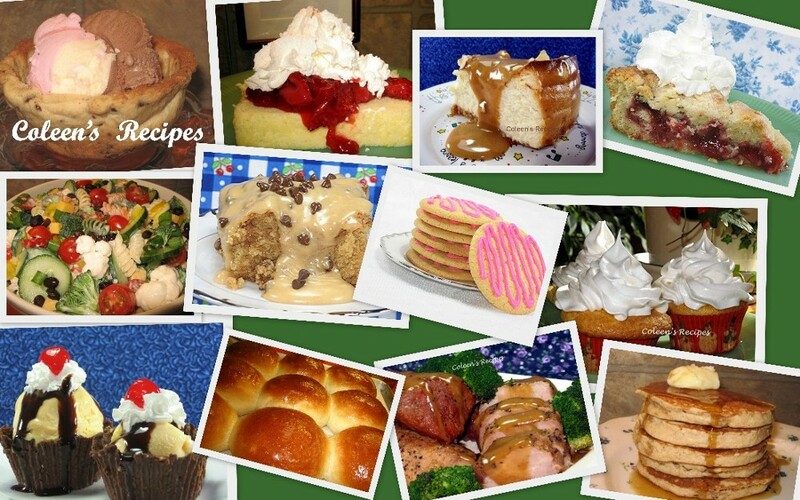 I may have to change one of the muffins I'm making for my church's Easter breakfast and serve this! Thanks for sharing! I can't wait to try them!